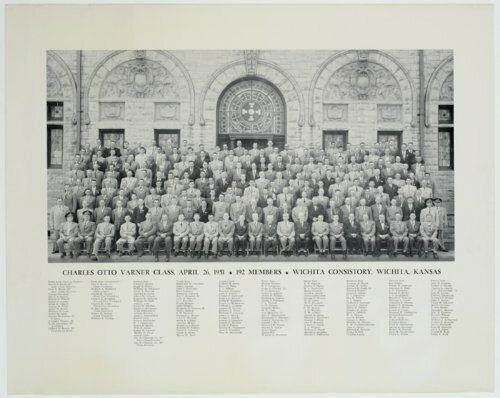 This is a photograph showing the Charles Otto Varner class of the Free Masons at the Wichita Consistory in Wichita, Kansas. Glee S. Smith, Jr., class president, is seated eighth from the right in the front row. As an adult, Smith lived in Larned, Kansas.